On Wednesday, Amazon held a sweet one-day sale on the Echo Dot that knocked an even 20% off the price, dropping it down to $39.99. The Echo Dot is already Amazon’s most affordable smart speaker with Alexa at $50, so slashing it even further to $40 is a big deal. The bad news is that sale is now over and the Dot is back up to $50 on Amazon’s website. 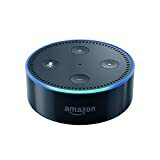 But the good news is that if you’re willing to pick up a refurbished Echo Dot, you can get one right now for even less than what Amazon was charging in yesterday’s sale price. Amazon refurbs are guaranteed and covered by a warranty, so there’s really no reason to worry.